Orod received his B.Sc. from Sharif University of Technology (SUT), Tehran, Iran in 2015 majoring in Electrical Engineering, Control Systems (as the 2nd rank among 28 class of 2010 entrants), and minoring in Mechanical Engineering. His research background was in Robotics and Control, he worked on designing and Control of Forearm Exoskeleton utilizing EMG signals. 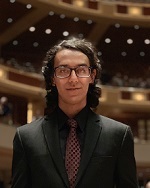 Orod is currently a PhD student at the University of Texas at Dallas in Mechanical Engineering Department as a member of Laboratory for Dynamics and Control of Nanosystems. His research area comprises implementation of High-Bandwidth controllers on AFM Cantilevers.